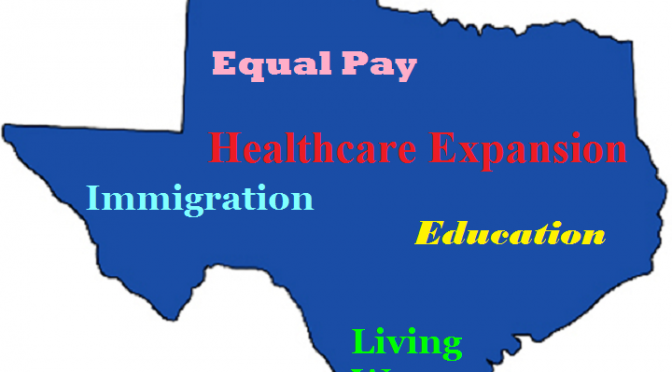 Growing Support For Texas Medicaid Expansion? Politicians tend to say a lot of things when on the campaign trail. They make a barrage of promises to different audiences, trying to court voters at every turn. The 2014 election was certainly no exception for Greg Abbott, who handily defeated Democratic challenger Wendy Davis just weeks ago. But sometimes what is not said is just as important in politics. After a resounding victory, Governor-Elect Abbott, who vowed on the campaign trail to never seek any form of healthcare expansion under the Affordable Care Act, has remained surprisingly silent on the issue as he prepares to lead the state. Gov.-elect Greg Abbott’s pick for Texas secretary of state voted for a local resolution last year endorsing the expansion of Medicaid — a central tenet of the federal Affordable Care Act that Abbott fiercely campaigned against. 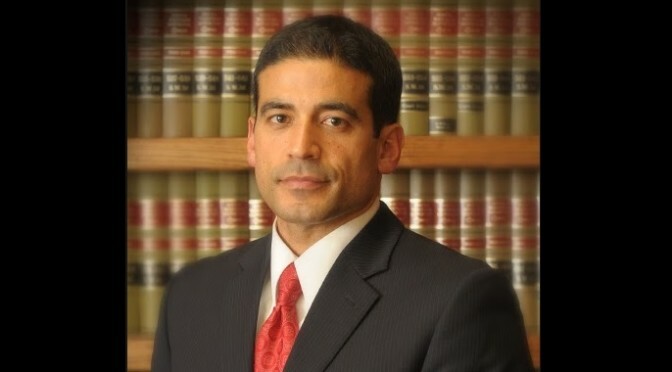 In a phone interview, Carlos Cascos, a Republican judge from Cameron County, said that as secretary of state he was “not just going to go along to get along” with Abbott, and that on health care issues there would be “policy disagreement” among Republican officials. A board of medical professionals appointed by Gov. Rick Perry said Wednesday that the state should provide health coverage to low-income Texans under the Affordable Care Act — a move the Republican-led Legislature has opposed. 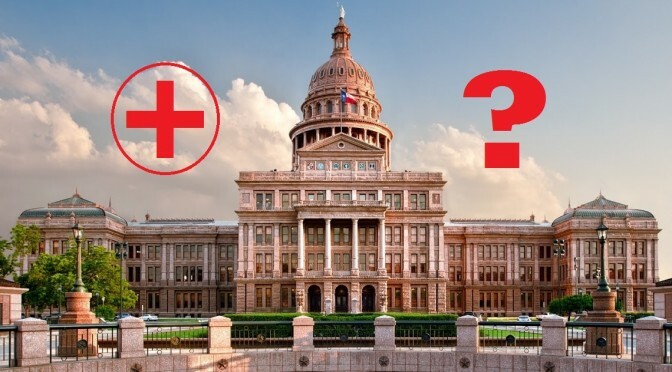 As if advocates for Texas citizens themselves were not enough, don’t forget that Texas hospitals, tired of losing billions of dollars to uncompensated care costs, are also facing some tough choices if the state continues to ignore the situation. This is exactly why the Texas Hospital Association also renewed its call for the legislature to find a Texas solution that helps them, and those seeking medical care. For Abbott to remain silent when so many groups are speaking out is telling. Is he listening to the bi-partisan coalition to help Texas families? Will he change his position on the issue and allow our Texas tax dollars to come back where they belong? Even if Abbott were to come out in support, what are the chances of finding support withing the legislature, or of Lieutenant Governor Dan Patrick even bringing such an issue to the Senate floor? The answers to all will be revealed soon, but for now, the best thing Texans can do is keep talking. At least then, there is a small chance that our voices will be heard as well. This was a real occurrence from the week, but it seemed worthy of being published. Basically this person and I got into a rather heated discussion on Twitter, and he demanded that I answer this group of questions. It’s quite apparent that he is something of a hard-line Conservative, but even still I gave the questions my best attempt. The Twitter battle originated from the City of Houston’s decision to invest in cycling infrastructure through a variety of sources, so that is what these first few questions address. How do you justify spending money towards bike trails before repairing our city streets, many of which are in horrible shape? At no point have I ever suggested such a thing. I simply stated that choosing between cycling and automobile transportation in a growing, changing city like Houston is a false choice. The city is already spending money to re-build our road infrastructure through dedicated funds. It would be a bad business decision for them to NOT consider the growing cycling community as they rebuild these roads. A great example is the bike lane being constructed on Lamar street in downtown. This lane is needed because of popular trails that already exist on the eastern and western sides of the CBD. Currently, cyclists have no clear path to cut across downtown, but this plan will fix that issue. Houston already has lots of street collectors and partial bike trails, so it makes sense to connect them into existing but currently disjunct network. Just so we’re clear, the city is not spending money dedicated for roads on bike paths. Much of the off-street bike network (trails) is being funded through grants, a $166 million dollar voter-approved bond measure, and a massive public/private partnership that is already underway to reconstruct the bayou network. This serves as both an enhancement of the community parks system, and much needed repairs for our primary flood control plan. Why do you not support a plan that first secures funding and contracts to fix the roads, and then use any surplus to add bike lanes and trails? Because such a plan represents a fallacy which suggests that Houston builds roads are exclusively for automobile usage. The only roads which can claim such a distinction would be freeways and toll roads, whose construction has little to do with city funds in either building or maintenance. City streets are meant to be used by all forms of transit, which include pedestrians, cyclists, persons with disabilities and animal-powered transit. As such, it is the responsibility of our municipal government to consider all possible forms of transportation when building and maintaining public roads. How many people in Houston rely on vehicles versus how many rely on bike transportation? It’s a good question… according to the American Community Survey from 2012, 0.4 percent of Houstonians commute to work by bicycle, which is roughly 40 to 50,000 residents. As to whether they rely solely on cycling as their primary transportation option is tough to tell. For most people living in the city proper, they have access to public transportation even if they don’t have a car. The use of bikes on buses has grown significantly in the past few years according to METRO. On your blog post you claim that this group called ‘Battle Ground Texas’ is responsible for all the newly registered voters in Texas. How accurate is that and what proof do you have? I am pretty sure that is as far from truth as can be, and that there were numerous reasons and groups who had a hand in the increased voter registration. 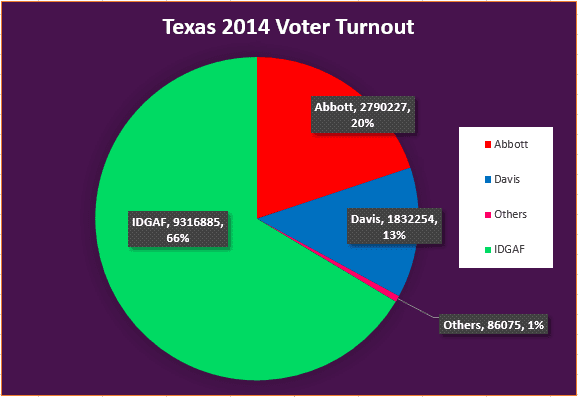 Nowhere on my blog have I explicitly stated that BGTX is responsible for ALL newly registered voters in Texas. But they did lead a significant voter registration effort, as did the Texas Organizing Project, Mi Familia Vota and several other groups. As it stands, there are a record number of voters registered today in Texas, even if they didn’t end up voting. 2014 is also the first year in recent history that voter registration hasn’t decreased from the previous presidential year, and we topped a record 14 million registered voters. Population has grown every single year in Texas, so these groups must be the ones making the difference. In regards to raising the minimum wage, which mostly affects low-skill level jobs, jobs that are not meant to sustain an independent adult, much less a family, do you understand what will happen if the minimum wage is raised? You say this in ideal, but not in fact. The reality is that there are more adults working for minimum wage than there are teenagers… far more. The average age of a minimum wage worker is 35, and 88 percent of all minimum wage workers are over the age of 20. Nearly 1/3rd of all minimum wage workers are the primary income earners for their family. But since they don’t make enough in their wages to feed that entire family on the minimum wage, the cost burden is shared by tax payers through SNAP (food stamps), WIC, housing assistance and other government programs. a. If I am a business owner, such as fast food restaurant owner, why would I not just automate as many of those jobs that I can? I suppose you could, but as many grocers have discovered, it leaves a negative impression from a customer service standpoint, and the business owner risks losing business from such a move. Most consumers expect to interact with employees when they pay for a service or business. b. If I am a business owner, why would I not make as many of those employees as part-time employees, thus having no obligation to provide insurance? That’s already happening with wages at current levels as is. Business owners are hiring employees under the guise of a job that will become full-time, and then working them as little as 5 or 6 hours per week. I’m sure if the minimum wage is increased, it will still happen. But there are plenty of good business owners that wouldn’t be affected at all because they already pay much higher than the minimum wage, and give their employees access to enough hours where they can make ends meet. Ever been to Buc-ee’s?? They’re business is booming across Texas right now, and a big part of that success is the fact that they have great employees. Starting pay for Buc-ee’s? $11.00/hr. Instead of raising the minimum wage and raising someone earning floor, why not advocate for more free education so we can equip people with skills to raise their earning ceiling? We need both!! Education is essential for people of all ages that want to move to the next step in their careers, and it’s more critical today than ever. People also need to understand that industry has experienced seismic shifts since the start of the 21st century, many of which were simply revealed by the 2008-2009 Great Recession, but were already coming. As you rightly mentioned, many business owners now have access to digital technology that they have never had before. So many gadgets and knick-knacks that we used to use in common life have now either been replaced by an app on our phones, or we just have less need for them. And of course on the production side, factories are completely different than they were 25 years ago. A part that was once manufactured by an assembly line of 50 workers is now done at the push of a button by 3-D printers. As a community, it’s important for us to recognize that there are simply fewer “entry-level jobs” that are going to pay the types of wages that they used to. The only way to give our workers a chance at higher earning potential is through increased access to education. Which is precisely why it makes no sense that federal and state leaders have cut our education budgets so severely in the past few years. As tax payers, we all should place more value in education and training, because the success of our society depends on the success of our educated workforce. Do you understand that less jobs, and less full-time jobs, that the tax base shrinks, and thus all your programs that fund things like bike trails dries up? I suppose this is still related to the minimum wage question? If so, I understand that by raising the minimum wage, you actually create jobs. When workers have more money, they spend more at area businesses, which creates higher sales and demand for everyone. That’s why raising the minimum wage works. All of this said, I do believe in common sense policies. If Texas’ current minimum wage is $7.25/hr, it would be foolish to raise wages to $15/hr overnight. But an incremental increase is needed as soon as possible. Lastly, please explain to me how Texas is a swing state when the Republicans won just about every state seat up for grabs, and increased their margin of victory over the Democrats? Republicans won the 2014 elections with 34 percent of the state’s voting-age population showing up at the polls. 66 percent of voters (an overwhelming majority) didn’t make their voices heard at all, so we honestly don’t know how they would have voted. Though it’s true that Republican turnout increased above 2010 numbers, total voter turnout was significantly lower than 2010. Republicans won in part because overall voter participation was at an historic low for the state of Texas, which in my opinion isn’t exactly something to be proud of. Until we have an election where a majority of the actual voting-age population shows up to vote, it’s going to be tough to say exactly what Texans believe one way or the other. All we know from 2014 is that among the Texans that cared enough to vote, a clear majority of them were Conservative Republicans. But that does not mean that a clear majority of Texas shares the same views. So there you have it… some basic answers by a Texas Liberal. Tough to find us sometimes, but we’re out there. Given how badly Texas Democrats lost last week, few are surprised to see a lot of in-fighting and finger-pointing within party leadership. As has already been addressed, there were some notable missteps on the part of Battleground Texas, which the group, to its credit, is actively working to address. There’s no doubt that the stringent Voter ID law was a contributing factor for Democrats… possibly a significant one. As Think Progress reported, poll watchers in Houston did see some issues, and the number of Provisional Ballots cast more than doubled from 2010. 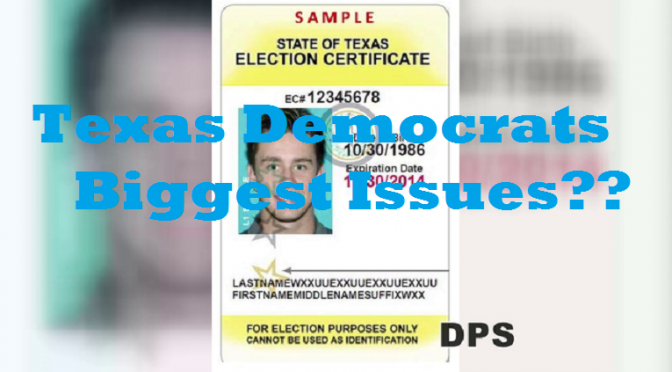 Because of Voter ID, it is definitely more difficult to vote in Texas than it used to be. But the party and related organizations need to be careful not to point the finger exclusively at the law, else they risk losing the opportunity for a thorough examination of other factors, including their own culpability. If all 600,000 of those voters estimated to be disenfranchised had shown up to the polls, wouldn’t we have way more than 16,000 Provisional Ballots cast? Press outlets would have reported on long lines of frustrated voters being turned away. Had Voter ID been the sole reason that Democrats stayed home, evidence would bear that out. Instead, many of the Democrats didn’t make it to the polling place at all. We already know that most Texans are low-propensity and low-information voters. Getting them to suddenly turn up attention before the election, and then turn out to vote was always going to be a greater burden for Dems than the habitual voters of the GOP. Then there are the more subtle tricks, like Abbott’s last-minute decision to cancel on his debate commitment with Davis just so he could weasel out of mainline TV coverage for less-noticed PBS. And of course, the internal friction between the party and other political organizations didn’t help either. At the end of the day, all of these factors played a supporting role in the issues of 2014. But let’s hope that Texas Democrats do not try to cast any single one, like Voter ID, as the only star of the show. 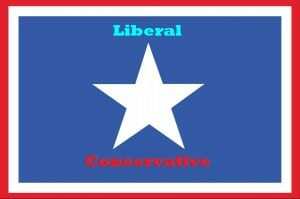 Instead, it’s time to live, learn, examine and focus on the battles ahead in the 2015 Texas Legislature. Dos Centavos has more on what promises to be a long ride. In a post election email sent to campaign volunteers, executive Director Jenn Brown made one part of those future plans abundantly clear… Battleground Texas may be bruised, but here to stay. Tuesday was not the result any of us wanted. The national headwinds were stronger than anyone thought, and Texas got swept up in it. But I hope you’ve got your head held high today, because we’re just getting started and there’s plenty of exciting work to do. The email was not a solicitation for more funds, but actually a request from volunteers to provide feedback on how they thought the organization performed in its first major campaign. I already provided feedback to the email, but also wanted to share those same thoughts, with just a bit of expansion, on the blog. As ‘the new kid in town’, it’s no surprise that a lot of excitement surrounded Battleground Texas. But all the excitement in the world could not compensate for what proved to be BGTX’s biggest hurdle in 2014… being new, and unfamiliar with the Texas voting landscape. Instead of forming a support network around existing local organizations, it seems that BGTX chose to mostly go it alone. This lack of any coordinated strategy often lead to repetitive outreach efforts to the same voters, or missing critical voters altogether. In a year filled with so much general voter apathy, everyone knew it was going to be tough to make a difference at the statewide level, but these novice mistakes made the disparity even more apparent. Criticism aside, BGTX had much to be proud of during this election cycle. Though the turnout goals were not achieved, at the end of the day there are now more Texans registered to vote than any mid-term year in state history. Building organization of over 33,000 volunteers was certainly no small feat, and a true testament to the vast potential for making Texas into a swing state. Better yet, those volunteers are now connected to more people right in their own communities that care enough actualize around important issues. Organization is a skill that can be applied far beyond just particular candidates or elections. Building momentum around issues like raising the minimum wage or equality is just as important, if not more so than political aspirations. Battleground Texas should “keep going” in off-election years. Even if it is just a bi-monthly service project like a health fair, community garden or an immigration law workshop, BGTX has room to grow and join the true fabric of the state. No one is going to awake the “Silent Majority” overnight. But now that we’ve lived through an election, the real work can begin. On the political campaign side, 2015 presents a vast opportunity with local races. BGTX leaders should be working with local candidates because they are the ones that know not only the needs of their communities, but also how to best engage them. All of these strategies carry into the next. Organizing in the digital space is important too. How are those in the 33,000 member volunteer base supposed to connect with each other after the latest campaign ends?? Much of this work can be done through a more website that contains forums, a community page to post events and ways for people that care about common causes to find one another. A better, more comprehensive web presence would be another step in the right direction. Ask any of the greatest politicians to ever live. If Bill Clinton had given up after being ousted as Arkansas Governor in 1980, he wouldn’t have ascended to the Presidency just 12 years later. Barack Obama knew the sting of defeat in 2000 when he lost out on a seat in the U.S. House of Representatives, but he didn’t give up. The greats take a defeat, and learn from it. 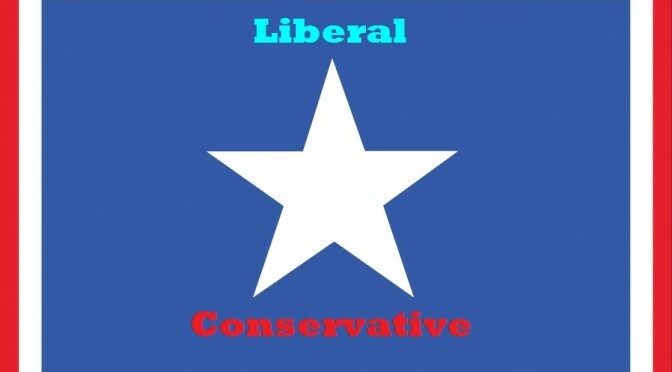 BGTX has been introduced to Texas, but now is the time to truly become part of Texas. Once that happens, the Lone Star state will have some real contests at the ballot box, and beyond. 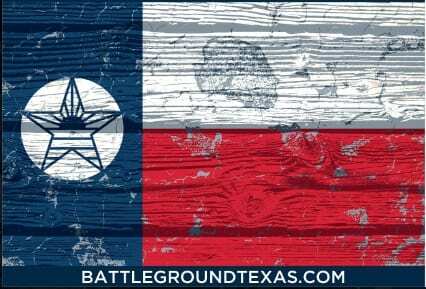 Congratulations to all the staff members and volunteers with Battleground Texas. We finally have some real battle scars. 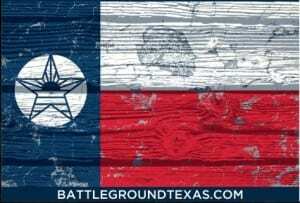 UPDATE: BGTX Executive Director Jenn Brown has published a letter to supporters via the Battleground Texas website. In it she addresses next steps for the organization and what they will be doing to move forward, including reaching out to people to find out why they didn’t vote. It looks like internal feedback is simply the first step. Literally, that is the question on minds all across the nation right now. Older voters helped propel Republicans to sweeping victories Tuesday in Senate and gubernatorial races nationwide, according to exit polls from NBC News. The disparity between the under-30 and over-60 was the widest it’s been in a decade, those polls found. The seniors comprised 37 percent of the electorate; young people made up 12 percent. That was even more extreme than 2010, another great Republican year, when the split was 32 percent over 60 and 12 percent under 30. Yes, I know it’s not a phrase you often find in what one considers “serious” political writing, but is there truly a better descriptor for what happened on Tuesday? The vast majority of Texans Didn’t Give A ____ about the future of our state. And if they did, they still did not care enough to go out of their way and participate in a most critical decision. In other words, a decisive majority of voting-age Texans did not vote at all. This post is not meant to sound bitter about the current historic levels of voter apathy in the Lone Star State. But at the same time, it is no longer acceptable to keep waging these issues in such polite and non-provocative terms. We want our voters to care enough about who leads Texas through the next four years, and into the next decade. This is important. And as one would guess, the 2014 electorate will probably reveal a less diverse group of Texans who showed up to the polls. There are no official numbers yet, but one need only look at Harris County Early Voting totals to see that the practice was low in many minority EV locations. So there you have it. The state’s race for Governor was decided by a puny minority of the state. And yet the political pundits have to use the decisions made from these voters as some validation that Texas is and will forever be a Red State? Some blogs, like Texpatriate are fully convinced of this. But given just how large the IDGAF majority is in the above chart, it’s just impossible to say for certain what this state will do in future election cycles. When you start reading all these articles about the impressive Republican ground game, don’t take it as the gospel truth of the situation. Personally, I happen to be a voter, a racial minority, relatively young, and someone who used to not GAF about voting or politics. This Silent Majority can be moved if they are empowered by the right set of opportunities. Let’s use 2014 as a teaching tool, and get back to work. From a musician’s standpoint, it is very easy to see the parallels between musical theater and political theater. Both take months of meticulous planning and rehearsal. While everyone in a production certainly has individual responsibilities… learning their music to note-perfect accuracy, and rehearsing lines until they are off-book… the real work comes when you start putting everything together. Suddenly, each cast member goes from the individual work of their part into a flurry of information offered from everyone else. The time when we combine in dress rehearsals is really the “make or break” moment. The whole show has to come together, and sometimes we’re not always sure if it will get done in time. Yet you push on, trust everyone else, get to opening night, and anxiously wait as the curtain is lifted. In political theater, many of these same things happen. We work hard… often much harder than seems possible. We suspend disbelief that any way other than our way is going to be the final result. Whether you’re on the ground floor as a volunteer, or a top-of-the-ticket candidate, you buy in to the theory, no matter how unrealistic it seems. But for the big show of politics, there is no true group rehearsal… only an often inaccurate set of predictions which are trying desperately to read people’s minds. There is no true rehearsal for election night. The choir meets for the first time ever, and we’re supposed to sing perfectly in time and in tune. The lines get said, and we hope everything makes sense. For Democrats in Texas and across the nation, it’s clear that their lines didn’t resonate with the audience. There’s no denying it. 2014 was a victory for Republican candidates on an historic scale. The party improved greatly on many of the gains made from 2010, and left many Democrats wondering why their message was rejected at so many levels. All the door knocks and phone calls in the world were not enough to defeat this country massive dissatisfaction with government. It was a tough night. But even if the theater of 2014 is closed, the work done to give voice to our state’s most pressing issues remains. Texas families are still in need of healthcare options. In a state so prosperous for a privileged few, we still have too many people that can’t survive on a $7.25 per hour wage. The ramifications of hurtful cuts to education from 2011 linger as our schools are still under-funded. The knowledge that so many are still facing discrimination simply because they are minorities, women or LGBT. So the production didn’t turn out the way we wanted. But even in defeat, we learn… we grow. On this new day, it’s important to say thank you to Wendy Davis, Leticia Van de Putte, and all of the Texas Democrats that sacrificed months of their life to present a choice for the state. 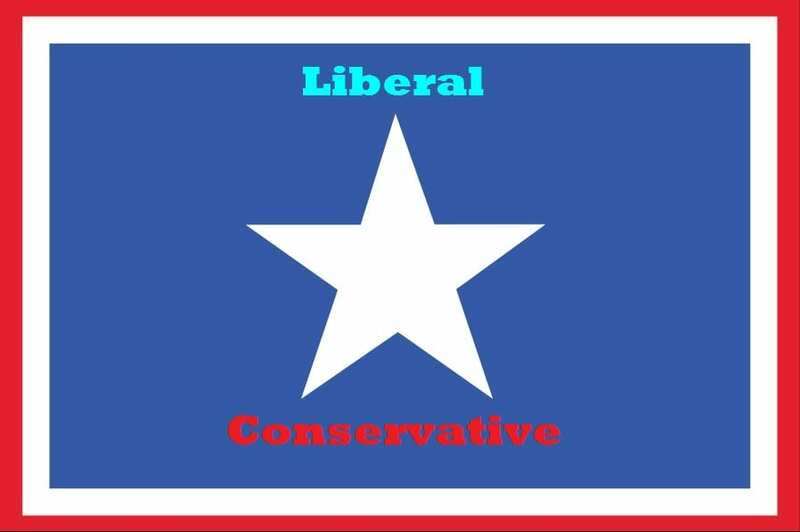 Congratulations to Governor Elect Greg Abbott, Lieutenant Governor Elect Dan Patrick, and all those that won their races last night. They now have great power, and an even greater responsibility to lead our state. Words that are just as true for Texas as anywhere else. Plenty of analysis will be done in the coming days, and of course for the city of Houston, municipal contests are just around the corner in 2015. Last night was a tough night, but today is a new day.